What's old is definitely new again. Fossil has long stood for the optimism and creativity that is at the heart of American culture. Inspired by vintage design, we take the best from the past and update it for today's consumer. Since 1984, we have shared our quality products with our fans as we celebrate living an authentic life. For more than three decades, Fossil has been known and loved for our enduring watch designs. Given our history and in the spirit of our love of vintage, Fossil is proud to announce the launch of The Archival Series-a limited edition re-release of some of our most-loved timepieces. The Archival Series celebrates our most coveted and iconic watch designs from the last decades, and allows new and existing fans alike to discover a fresh (or classic) favorite to add to your collection. There will be archival launches throughout 2019 starting in May, with a drop almost every month through the end of the year. This series represents Fossil's affinity for its beloved nostalgic timepieces, while giving modern interpretation to the brand's long history of unique, forward-thinking fashion watch design. 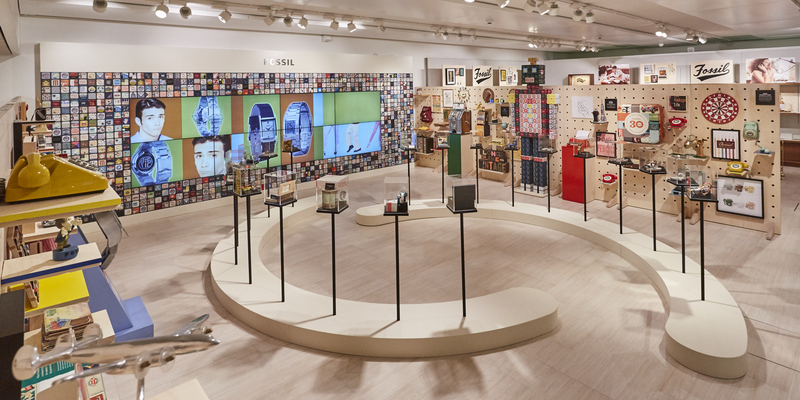 Visitors to the exhibit will experience a unique look at the origin story of Fossil, and learn about our inspiration and icons, like our logos and collectible tins. This exhibit will travel around the globe including other cities in Europe with stops in Asia and the US, and parts of the exhibit will take permanent residence at the brand's headquarters in Texas in the future. We've revolutionized the fashion watch. But we aren't stopping there. Just as traditional watches can be fun and accessible, so can smartwatches, packaging and beyond. We're bringing our unique design and creative spirit to a part of the industry where that just doesn't exist; creating beautiful watches and technology that you'll want to wear again and again. 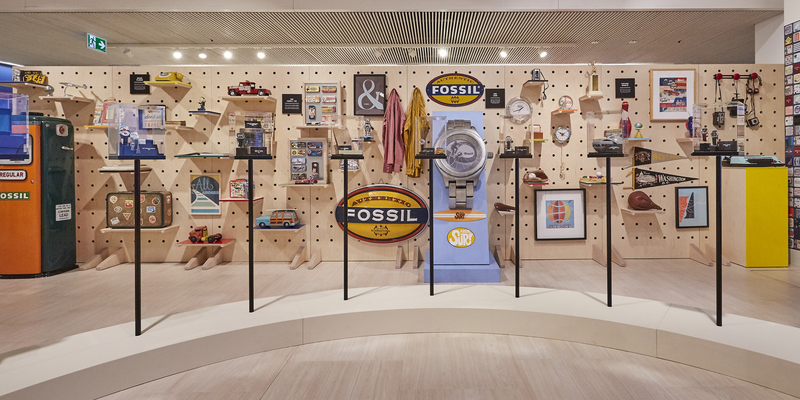 We're excited to announce the revival of the Fossil Collectors' Club, a one-stop-shop featuring our most-loved, most-anticipated vintage-inspired products. From limited editions to styles straight from the archives, we're highlighting the innovative designs our fans have collected and coveted since our beginnings.